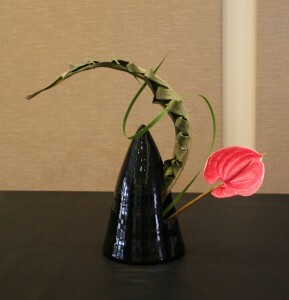 Earlier this month I did a demonstration for the Bethesda-Chevy Chase Workshop of the Washington,DC Chapter of Ikebana International. They are always such a warm and receptive group and it was a pleasure to spend the afternoon with them. I managed to get some quick photos afterwards and You can see my work below. 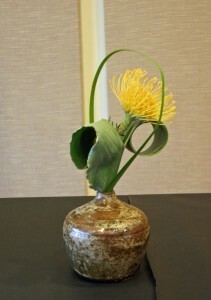 Now I am getting ready for the Ikebana International Exhibition at the United States National Arboretum. Today I went with Frederick to view the second installion of ikebana on exhibit(which can still be seen tomorrow, the arboretum is closed Tuesday-Thursday). The last and final installion of the show is on Thursday and will open to the public on Friday April 18th. The exhibition will continue thru April 21 from 10AM until 4PM daily. I think the pictures turned out great! I like that screen background for a change of place. Looking forward to the show at Arboretum. Stunning arrangements. 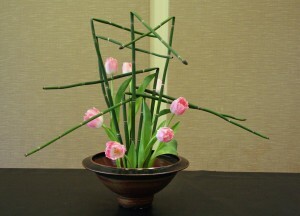 I followed twelve years of Ikebana Sogetsu classes and have 3 diplomas. I was living in Brussels at the time. I did 3 exhibitions one of which was at the Japanese Embassy. 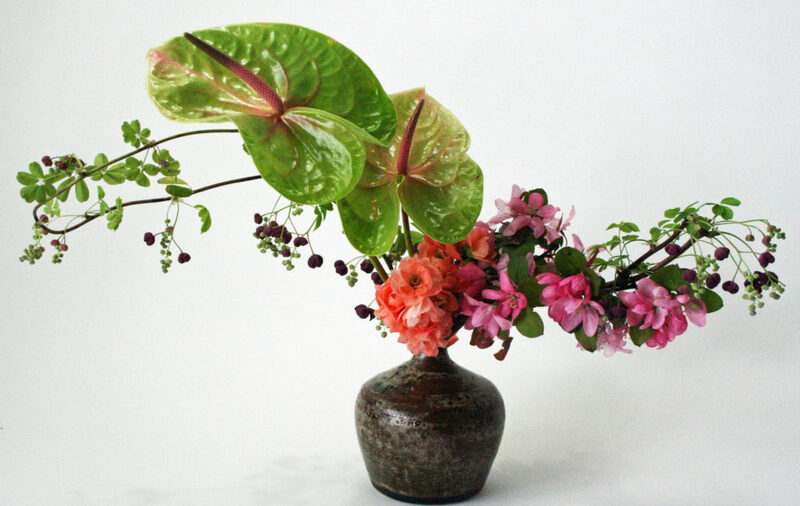 So much goes into arranging and mounting an arrangement. Patience is essential! Congratulations for your work. I truly admire it.